Virginia Woolf scholar Elisa Kay Sparks has launched a new blog that links a daily quote from Woolf with a photographic image of flora. 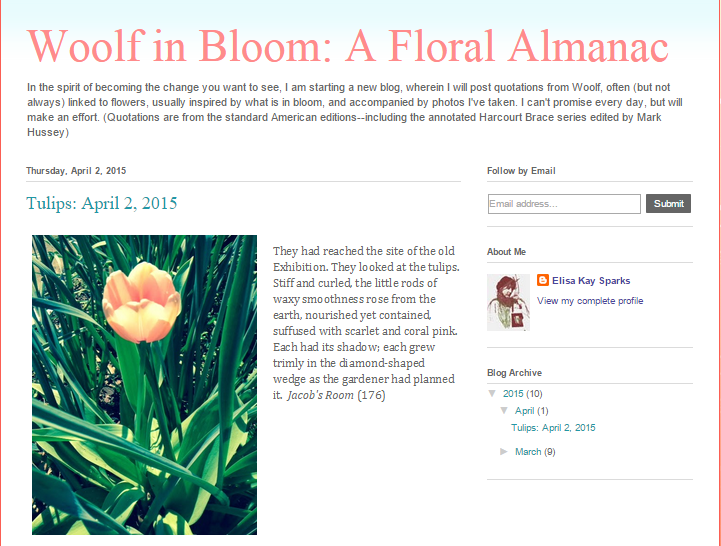 She launched the blog, Woolf in Bloom: A Daily Almanac, on March 22. In a message to the VWoolf Listserv, Sparks said she has made a one-year commitment to the blog. She said the the blog is a response to the desire of Woolf scholars for a daily Woolf quote app that would provide a passage from Woolf to meditate on every day. The photographs of flora that she posts with the quotes come from her daily walks, as well as from images she has collected from trips to visit gardens and Woolf sites in the UK. 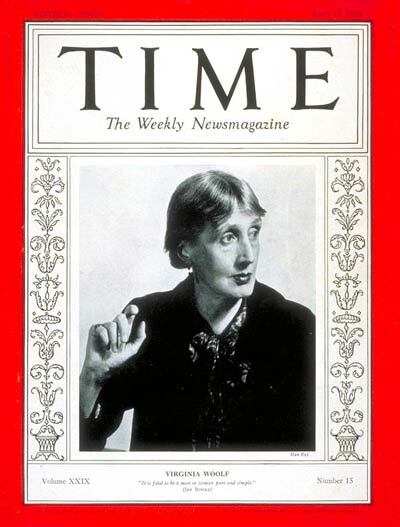 “I’ll be commemorating important dates in Woolf’s life as well as attempting to highlight flowers according to the British blooming season and to Woolf’s mentions of them in diaries and letters,” Sparks said. 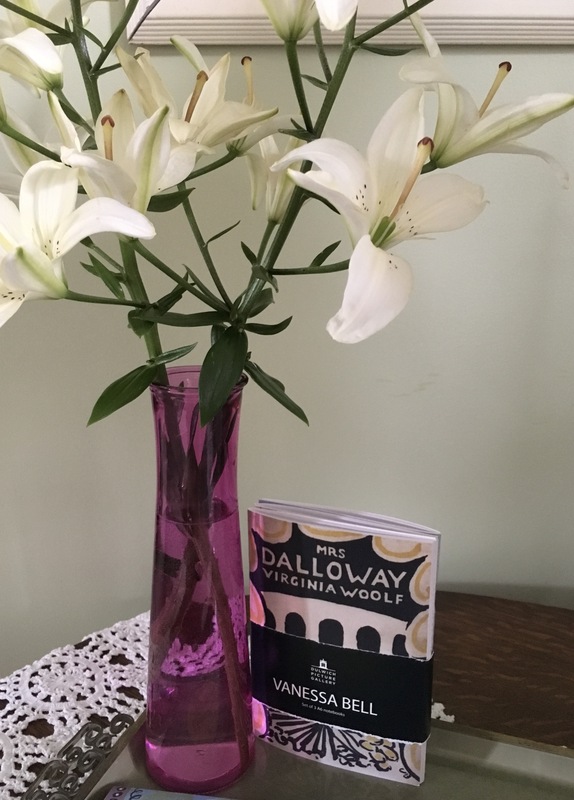 She said she would attempt to post to the blog on a daily basis and that most — but not all — posts would include a Woolf quote and a flora image.